Man of the moment Orlando Higginbottom a.k.a. 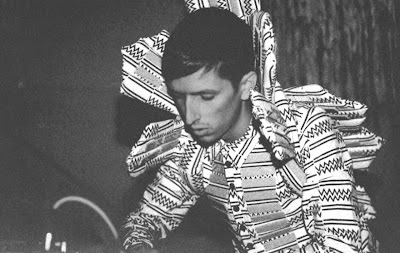 Totally Enormous Extinct Dinosaurs (TEED) is something else. We first heard about him through DJ Eko that put us on to him through her recently featured Soultronica mixtape. His stage performance and outfits has created as much buzz as SBTRKT's masks used to do but it was his unique sound blending UK breakbeat heritage with a soulful electronic touch that caught our attention. He recently took on Ghanaian/Guyanese/British singer/rapper Donaeo's track When angels sing and flipped it TEED style. His latest single American dream part II is the warm up for this album Trouble due for a June release. If you like his style you should also check his work for Friendly Fires below. Epic!